Great team work session last week planning Fall Labs for the Future of Transportation and Mobility, Home-Healthcare Technology and Disruptive Tech Sandbox. 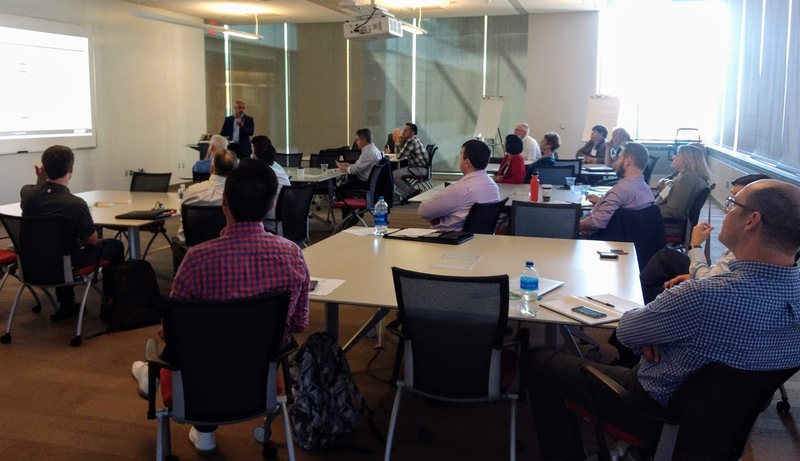 Thanks to Brad Chandler from UW-Madison for a great overview of blockchain opportunities and Joe Bashta, CEO of Axicor, for insights into next-generation prescriptive analytics. Save the date for our Annual Executive Summit on November 15 when we converge thought leaders, executives, and startup gurus in a full day event for learning, networking, and unveiling insights from these Labs in Madison, WI. Contact info@hyperinnovation.com to be notified when registration opens for this event.